Readers are leaders. You may have heard that before, it’s true. Through books, you are being mentored by the author. You learn skills and take action to take your life to the next level. 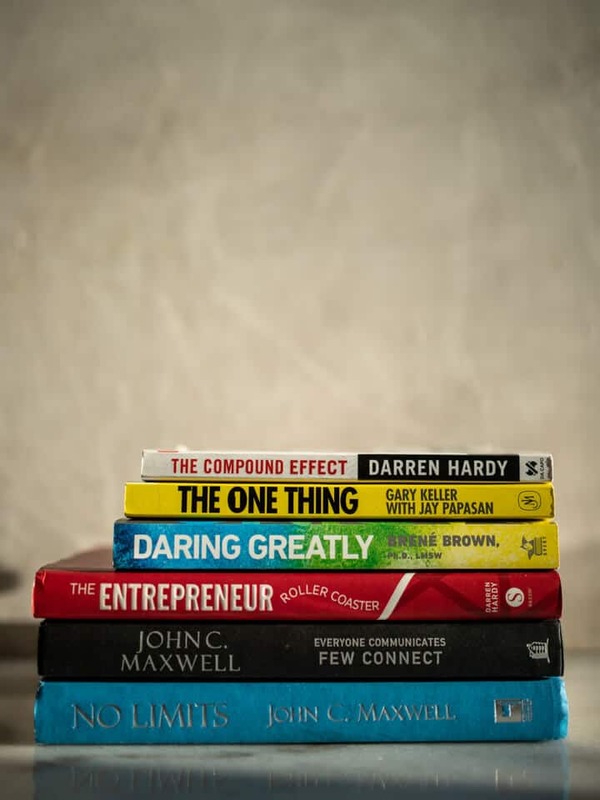 Here are the 25 books every successful man should read to go to the next level. How to Win Friends and Influence People teaches you life skills to make other people feel important. By taking interest in other people, you are more attractive. Not just by looks but by character and personality. The One Thing is all about the one thing. What is the one thing you can do right now to make everything else easier? This book is all about prioritizing and focusing on one thing to become extremely productive. Start with Why is all about your mindset. Why is the reason people do things, make decisions or purchase products. It only makes sense to start with why. Focal Point teaches you how to achieve your dreams and goals faster and easier. Where we focus our energy is our focal point. Learn how and where to apply your time to be successful. The Magic of Thinking Big teaches you where to start when developing the most important belief in success, the belief in yourself. David shows us how to feel fully capable of doing what we want to do. Think and Grow Rich is all about mindset and thinking things into fruition. Napoleon Hill teaches us how to have a money mindset and that wealth begins with your mindset. No Limits helps us increase our capacity to be able to achieve anything. John Maxwell acknowledges how we tend to limit ourselves in many areas of our lives and teaches us how to “blow the cap off” of our capacity. The Compound Effect is all about the power of the small, daily choices we make. These daily steps can create HUGE results. Daring Greatly is about having the courage to be vulnerable. Doing so leads to true confidence and strength. Boundaries teaches us how to say no. By learning to say no (which can be hard), we will be able to take control of our lives and not be subject to others controlling our lives. Everyone Communicates, Few Connect teaches us how to truly connect with people. This book is very good in helping with communication skills. The Entrepreneur Roller Coaster shows that entrepreneurship is a roller coaster. Darren Hardy shows us what it takes to start a business and how to prepare for the ups and down of entrepreneurship. He provides useful and timeless information for anyone who is thinking about starting a business. The 48 Laws of Power explains principles to gain and stay in power. Simple a must read. The Morning Miracle teaches us that you must start the day off with “wins” and personal development. Having a dedicated morning routine will change your life. Extreme Ownership is exactly what it sounds like. This books teaches us how to lead and how important your team is. I Will Teach You to be Rich is a personal finance book that teaches you the different areas of personal finance you must take ownership over and thrive in. You are a Badass helps you overcome fears and doubts. By taking risks and confronting your fears, you will live a more free and successful life. Multipliers teaches you how to be a great leader by making everyone else better. By helping others, you will grow and so will your organization, business, etc. The Go-Giver explains principles of success. This book shows us the power of giving and taking your eyes off of yourself to focus on helping others. The Power of Now is all about the present. Eckhart Tolle explains how to let go of fear and pain. By releasing, we can focus on the present and have peace in life. Thinking Fast and Slow explains the difference between logical and emotional thinking. Daniel Kahneman shows us how to change the way we think. Rich Dad Poor Dad explains how his father and his best friends father shaped the way he thinks about money and investing. Robert Kiyosaki also teaches how to make money work for you. How Successful People Think talks about changing your mindset. John Maxwell shows steps to change your way of thinking to improve your life. The 10x Rule is about figuring out whatever it is you want and multiply the effort and time it will take by 10. People often underestimate the effort it takes to be successful but by doing these things that Grant Cardone teaches, you will succeed. Crushing It is about growing your personal brand. Gary Vaynerchuk teaches you how to build a business with growing a personal brand and monetizing it.